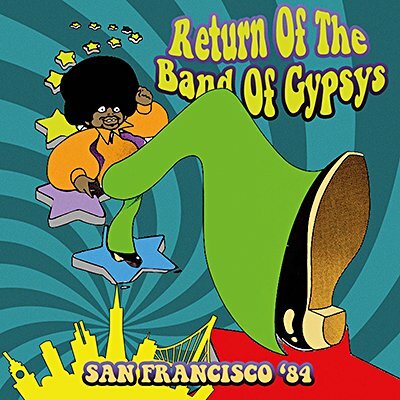 On December 27, 1984, San Francisco's Kabuki Theater staged 'The Return of the Band of Gypsys', featuring original Band of Gypsys drummer Buddy Miles, bassist Billy Cox and famed Jimi Hendrix tribute guitarist Randy Hansen. Broadcast on San Francisco's KRQR-FM, these performances feature renditions of songs from the Band of Gypsys album and other highlights of the Hendrix repertoire as well as an eleven-minute version of the Buddy Miles hit 'Them Changes'. Presented here together with background notes, images and a historical interview with Buddy Miles.